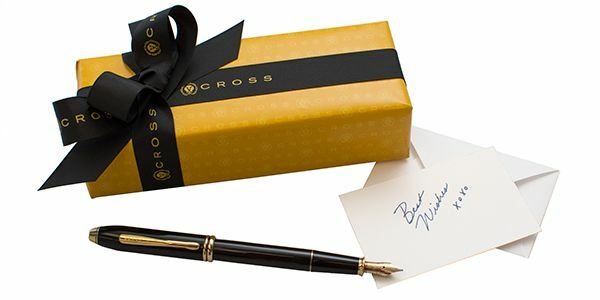 Gift wrapping is available for a majority of products purchased on Cross.com. If requested, your gift will arrive with our gift wrap and our seasonal ribbon. To add the perfect finishing touch we also offer a personalized gift card, hand-written with your message to the recipient. If you would prefer to write your own note, simply request a blank gift card with your purchase.